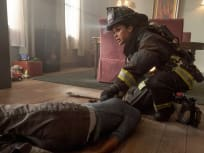 On Chicago Fire Season 4 Episode 23, the team responds to a dangerous structure fire while Dawson continues her quest to foster Louie on the season finale. 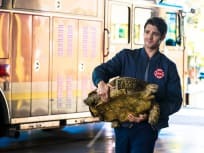 "Kind of a Crazy Idea"
On Chicago Fire Season 4 Episode 21, Dawson saves a young boy from an apartment fire while Cruz and Brett utilize a secret weapon with Otis and Dr. Halstead. "The Last One for Mom"
On Chicago Fire Season 4 Episode 20, Severide watches Holloway's young son while she testifies in court while Casey receives a suspicious package in the mail. On Chicago Fire Season 4 Episode 19, Severide watches Det. Holloway's son at the firehouse while Casey becomes involved in a case of gang-retribution incident. 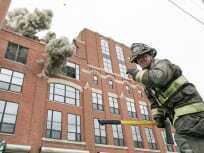 On Chicago Fire Season 4 Episode 18, Firehouse 51 is called into action when a fire breaks out at a restaurant trapping several people inside. 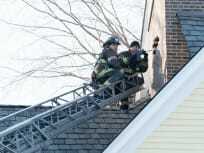 On Chicago Fire Season 4 Episode 17, while investigating a carbon monoxide leak inside a home, Severide and Cruz find a child's remains inside a chimney. 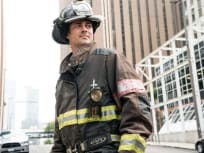 On Chicago Fire Season 4 Episode 16, Casey reconsiders running for alderman while the squad responds when a man is trapped inside of a burning car. On Chicago Fire Season 4 Episode 14, Severide confronts Chili about her erratic behavior and Jimmy squares off against Antonio in the "Battle of the Badges" boxing match. 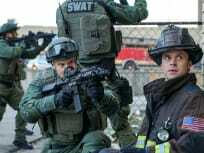 On Chicago Fire Season 4 Episode 13, the team responds to a mass shooting, Casey investigates the missing money from the fundraiser, and Jimmy agrees to represent the firehouse in a boxing match. 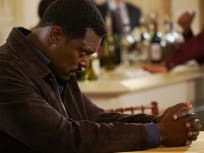 On Chicago Fire Season 4 Episode 12, Dawson and Brett face repercussions for telling Boden about Chili and Freddie's father begs Herrmann to forgive his son. On Chicago Fire Season 4 Episode 11, Severide helps a Department of Homeland Security agent while Brett reports Chilli to Boden when she makes a major mistake. 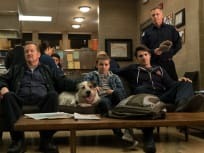 On Chicago Fire Season 4 Episode 10, squad members gather at Chicago Med after one of their own is attacked and Cruz works with Chicago P.D. to find Freddie. On Chicago Fire Season 4 Episode 9, Severide hunts down Serena, Jimmy and Chili draw attention they don't want, and Patterson fills in for Boden. 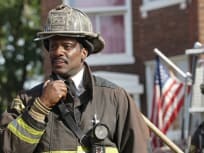 On Chicago Fire Season 4 Episode 8, Patterson questions whether Boden can remain chief while Boden believes Maddox is behind Serena's accusations. Severide learns information about Patterson that could be a game changer while romance blossoms at a fire department gala on a brand new Chicago Fire. 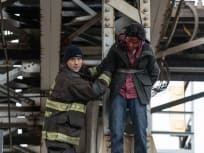 On Chicago Fire Season 4 Episode 5, the team responds to an accident that involves an 18-wheeler and Boden's new neighbor asks him for a favor. 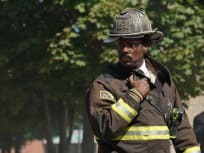 On Chicago Fire Season 4 Episode 5, Chief Riddle isn't happy when Boden offers to host a wedding at the firehouse after a fire destroys the original location. 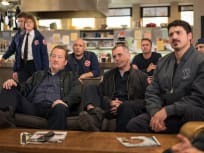 On Chicago Fire Season 4 Episode 4, Severide digs deep into the arson investigation while squad members come together to support one of their own. 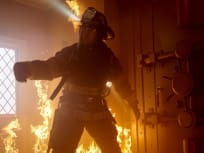 On Chicago Fire Season 4 Episode 3, evidence that appearss to exonerate Boden may not be enough while the team responds to a stuck elevator in a hotel. "A Taste of Panama City"
On Chicago Fire Season 4 Episode 2, Severide must deal with having a new commanding officer while Casey searches for important evidence concerning Nesbitt. 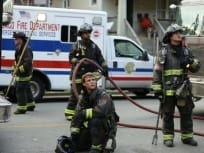 On Chicago Fire Season 4 Episode 1, Casey is placed in a dangerous situation and the squad's hire turnover rate results in an unwelcome surprise for Severide. Otis: Candidate's late on his first day? Mouch: Now that takes gumption. Permalink: Now that takes gumption. Patterson: I'd like you to remain with the company. Your reputation as a firefighter is not in question. 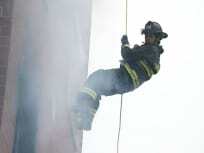 Severide: No, just my ability to lead. Permalink: No, just my ability to lead. 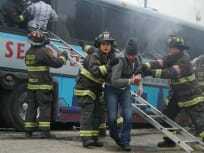 Chicago Fire Season 4 Report Card: Best New Character, Most Uplifting Moment & More!